When the sun goes down and the moon casts its eerie shadows across the graveyard, then does our battle begin. The Zombies, intent on gathering as many crumbly dribbly corpses as possible for the next apocalypse have to contend with some pretty awesome ghosts not so happy with the idea. 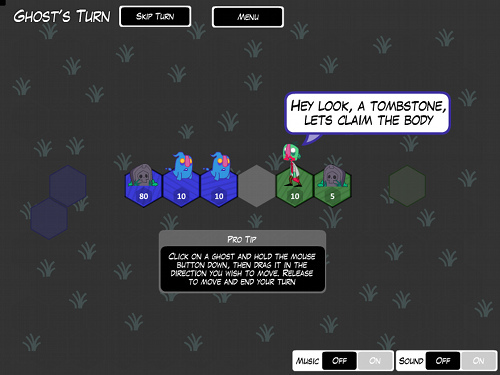 The objective is to destroy the opponents tombstones. Click to select a unit and deploy on your colored territory. Click and drag the mouse to direct your units to move and attack.